You are finally starting the business you’ve dreamed about for years. Congratulations! The next step is to find a location for said business. This is easier said than done. 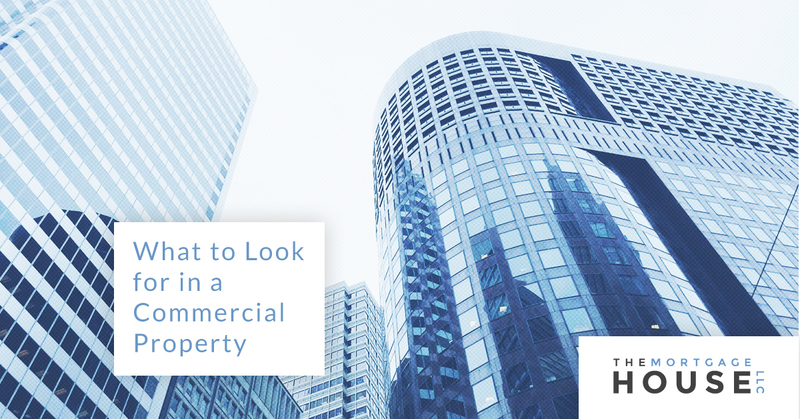 You need a commercial property that ensures the best chance of success for your business. Depending on the nature of your business, there are certain factors to consider when choosing your property. For example, location is key for a variety of types of businesses, such as a restaurant or retail store. If you are trying to attract customers to your location, it needs to be convenient and centrally located. Alternatively, if your customers or clients do not visit your facility, you can potentially save money by not worrying about the location as much. What type of space do you need? For example, do you need a retail space, food service space, or warehouse? Is this a heavily trafficked area? How accessible is it to your target demographic? What is the occupancy rate in the area? If there aren’t many people living there, it indications that it may be difficult to attract customers to that location. What other businesses are in the area? This might help attract customers to your business. If you have a customer-oriented business, it’s important to be able to draw customers to your storefront. This is especially important for new businesses. Without established brand recognition, having your location in a tucked away corner is essentially a death sentence. You want to make sure that you set up shop somewhere you will actually get customers. It will be much easier to get your name out there in a popular shopping complex than an isolated office park. Convenience: How convenient is it for customers to reach you? The easier it is for them, the more willing they will be to come patronize your business. Parking: Adequate parking that is near the business is essential. If parking is not free, consider whether it is priced reasonably. The Similarity of Surrounding Businesses: This is a delicate balance. For some situations, having similar businesses around will be to your advantage. For example, setting up your clothing store near other stores will attract shoppers to your store. Of course, you don’t want too much competition before you make a name for yourself. Location Reputation: Keep in mind the reputation of the neighborhood of your commercial space to target the right customers. For example, in Beverly Hills, Rodeo Drive is known for high-end shopping. This means it attracts wealthy people. Learn about the reputation of a neighborhood before choosing it for your business. Beyond attracting customers, your commercial property also needs to meet the needs of your business. What needs you have will depend on the type of business. For example, if you are starting a restaurant, you obviously need a space with a kitchen. Adding a kitchen to a space is expensive due to the plumbing and electrical infrastructure required, so it is best to find a property that already includes a kitchen. Another consideration to make is how much power you will have access to and whether it will be sufficient for your business. If you use a lot of electricity for your business, such as if you use heavy machinery, you need to make sure a potential property can handle that amount of electrical output. You should also think about whether or not the facility has data lines. If it does, is it connected to a fiber optic network, or is it wired for DSL? If you are using the internet a lot for your business (and let’s face it, most are these days), it’s important to consider what is going to be the best match for your needs. Finally, you will want to check the zoning of the potential commercial property. Not all locations will have the zoning necessary to permit your business to operate. Do not sign a lease until you are sure that you will be permitted to use the property the way you need to for your business. Do you need a loan for your new commercial business? We would love to help you. Contact The Mortgage House LLC or apply online today!